I use art, public projects and poetry to increase the awareness of the “self” and to co-create more understanding and tolerance among people around the world. 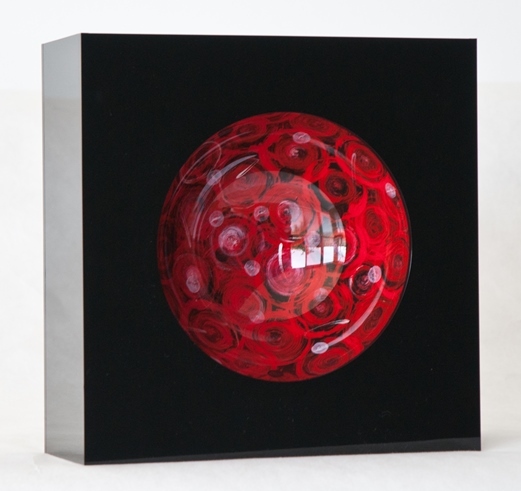 My artworks radiate energy, light and the ever-changing but constant movement of life. The current pieces consist of reverse acrylic paintings on plexiglass. These images express the force and power of feelings that arise from within. 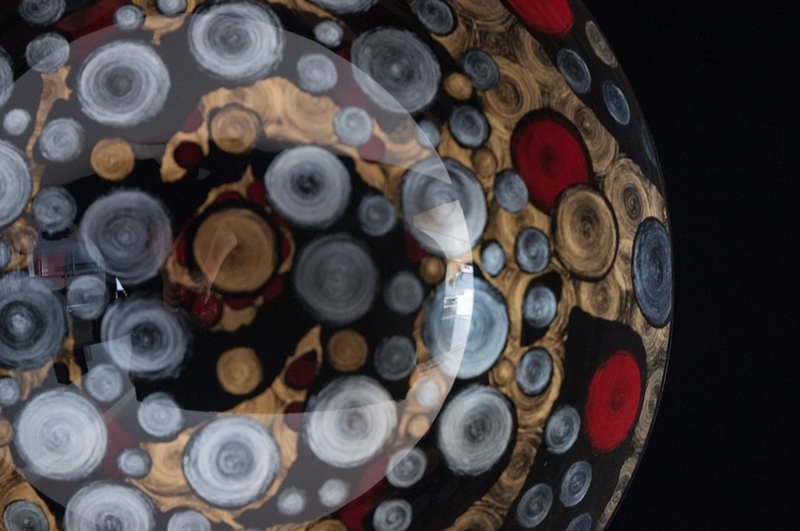 At the same time, they also capture the pulsating vivacity of the universe. 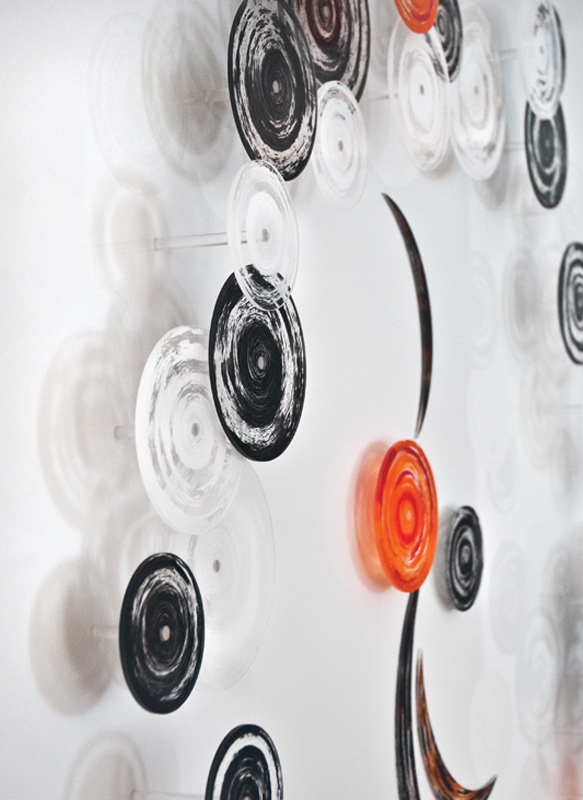 In 2009, I launched the-green-heart project to widen the human circle through interactive art. My vision to unite people started with the question: “what is in your heart? – the world is listening.” I ask each viewer to respond to this question by expressing their ideas and challenges anonymously on paper and then posting them on my art piece. Their participation lets them become co-creators of the art project. the-green-heart generates a feeling of connectedness that is so desperately needed in the world today. Artist and writer Petra Eiko has lived in California for over 20 years. Her artwork has been exhibited in California, Germany and Korea. She is also the author of the inspirational philosophical treatise, Seeds of Truth, an eight-part series created as a road map for seekers in pursuit of the secret of happiness. In 2005, she was awarded the “Honorary Citizenship” by Busan, Korea for her achievements in poetry. In 2009, Eiko launched the-green-heart project to inspire and share positive ideas and thoughts with as many people as possible. This was conceived as a platform to increase peace, one step at a time. It encourages understanding, hope and harmony between individuals and nations. 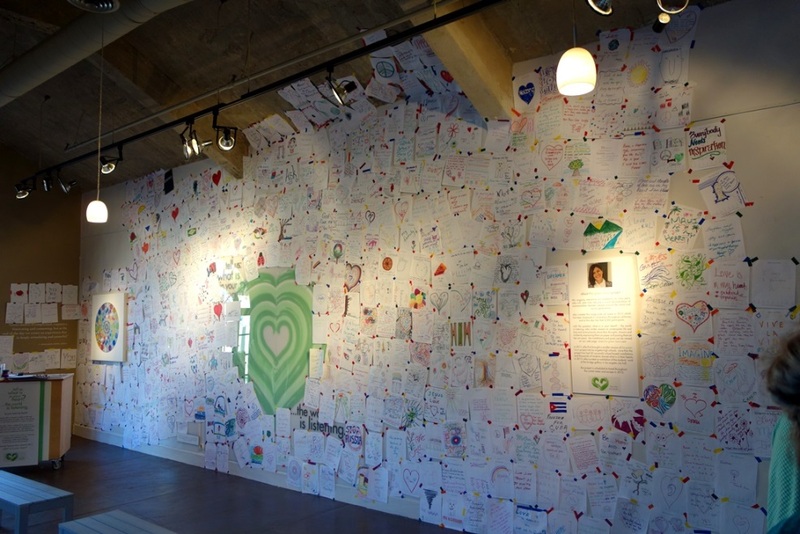 In 2010, Eiko successfully took the-green-heart project a step further by creating a large scale public art piece that has been displayed at various California venues, like the “Good Works Space” – ZeroMinusPlus at Fred Segal in Santa Monica, Summer “Soulstice” at the Edgemar compound in Santa Monica, Malibu Lumber Yard and Pasadena Playhouse. Members of each community were invited to express their thoughts on paper and post their creations, little drawings and messages on Eiko’s art installation. Over 6,000 posts have already been collected.